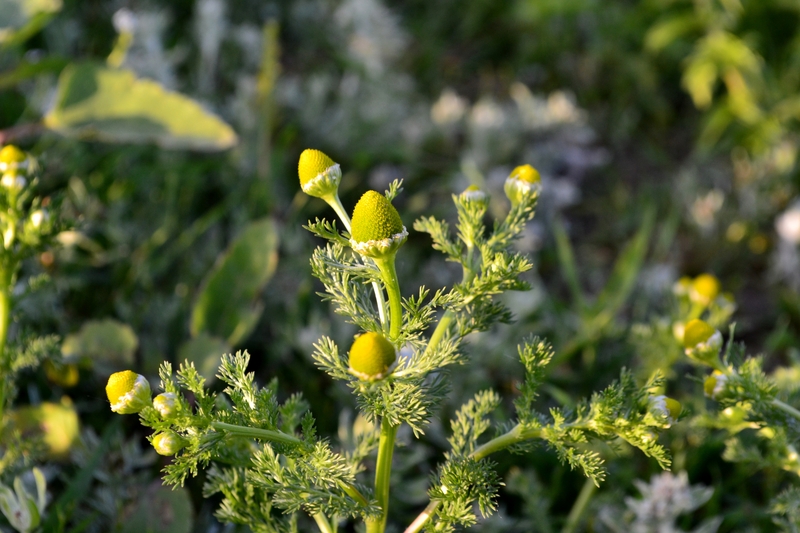 Pineapple Weed (Matricaria discoidea) is a close relative of Chamomile, and like its name suggest, has a sweet pineapple aroma when the flowers are crushed. 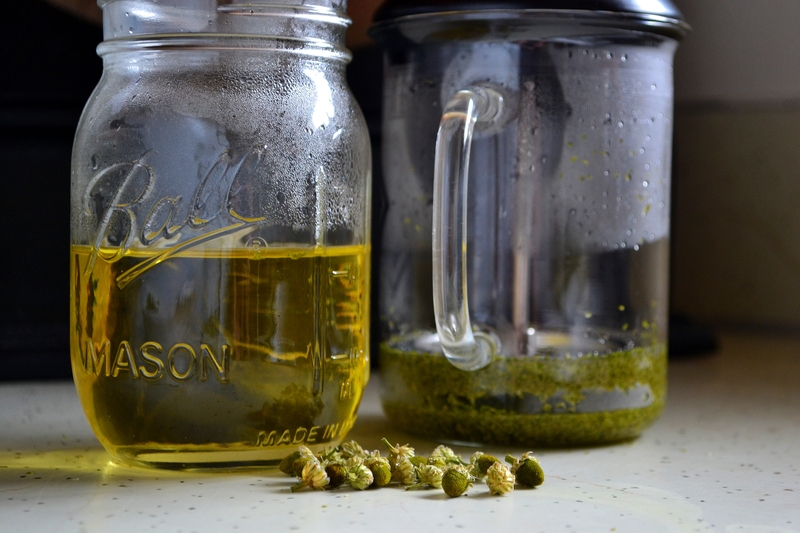 Brewed with a little honey and this makes a delicious tea with a nice calming effect. 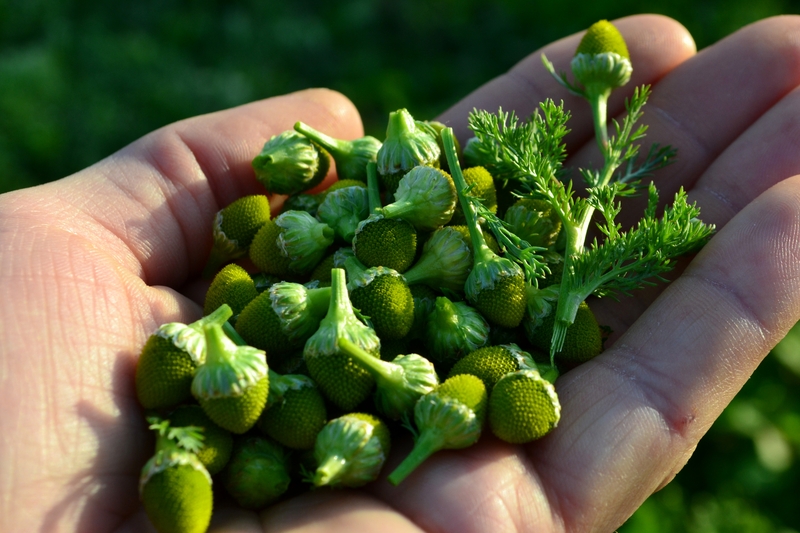 Pineapple Weed is cosmopolitan and can be found growing just about anywhere. Like Chamomile it has been noted throughout the ages as having medicinal properties. 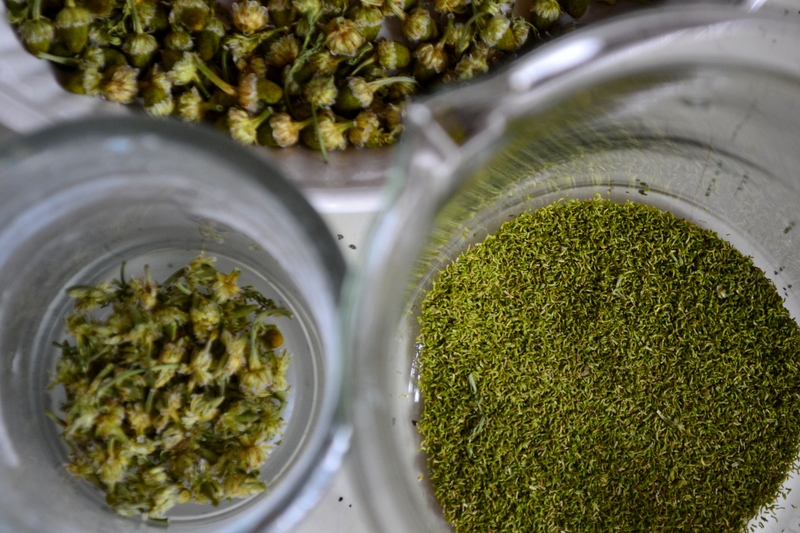 Use moderately when trying Pineapple Weed for the first time, especially if you’ve had a bad experience with Chamomile. When you find yourself with a good patch you can pick an easy handful in about 10 minutes or less. 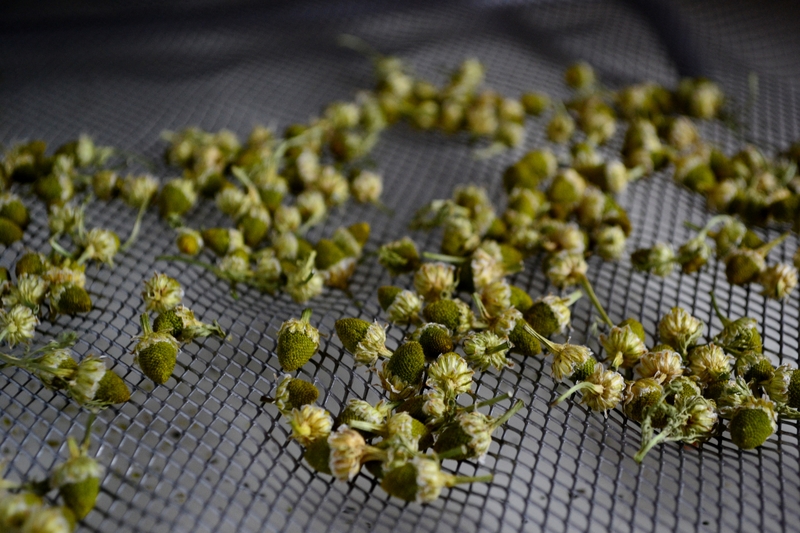 Fresh flowers can be made into tea, however drying them first will help extract more of the flavor when brewed. A wire shelf with good circulation makes for a quick herb dryer. By twisting the dried flowers between my fingers I remove the flower from its stem. A French Press is filled with about 2tbsp of dried herb as I wait for the water to come to a boil. Pineapple Weed Tea with light honey. Absolutely delectable! Once the boiling water is poured into the French Press the anticipation can be tantalizing but its completely worth the wait. Steep for 10 minutes and this tea is ready to be enjoyed. What does it taste like? Well… what’s its name? This is the greatest website I’ve found in a long time. I’ve been casually foraging for edibles in the PNW for about a year, but hadn’t found a good index of all the different kinds.